I couldn't put this book down and will read it again. So many practical things to do to feel lighter and not carry any belief or feeling that others put on you.A fantastic read with immediate benefits as I was encouraged every few minutes to let go of self judgment and receive. This book can open any person up to having choice and change in their lives, without going into judgement of themselves or others. This books helps you with tools and enpowers you to move forward when you may not feel you are able too. 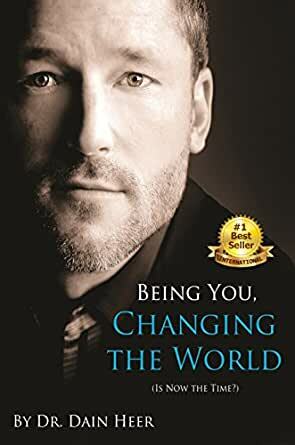 This book is for the person who truly is ready to have change and ready to choose diffently for themselves. Easy read, very transformative... things change as you go through the book, highly recommended!! It starts the magic in your life! 5.0 out of 5 starsSuch a contribution to my life! An amazing book that I can pick up at any time and it always facilitates me in the moment of what it is that I asking for. It has been an amazing contribution to my life! Thank you Dain. 5.0 out of 5 starsIf ever a book offered what it says in the title, this is that book. Love it. Still reading but amazing insights so far. Thanks Dr Dain.